This Is Us (9/8c, NBC): Did you remember to replenish your supply of tissues between seasons? The “big three” sibs — Sterling K. Brown as Randall, Justin Hartley as Kevin, Chrissy Metz as Kate — celebrate their 38th birthdays with lives and families in transition as the third season begins. And now that we all know how their beloved father Jack (Milo Ventimiglia) died, we’ll get new insights into how he lived — including his first date with Rebecca (Mandy Moore) and his wartime experiences serving in Vietnam. Lethal Weapon (9/8c, Fox): The more things change… the more some things don’t. The third season of the high-octane procedural opens with Murtagh (Damon Wayans) resisting change, as he bids bittersweet farewell to Riggs and makes room in his life and career for another reckless cowboy who can’t help attracting chaos. Seann William Scott (American Pie) joins the cast as an ex-CIA operative carrying the usual assortment of tragic baggage as he quickly graduates from LAPD traffic cop to sidekick in carnage. All he really wants is to win over his 12-year-old daughter (Shay Rudolph) and her skeptical mom (Maggie Lawson). In the interim, lots of things go boom. He's Murtaugh's new partner and an ex-CIA International operative. NCIS (8/7c, CBS): The 16th season of the hit crime drama returns without Abby — and initially without Director Vance (Rocky Carroll), kidnapped in last season’s cliffhanger and still MIA after a month. Gibbs (Mark Harmon) takes over as acting director while the team scours the world for their boss. 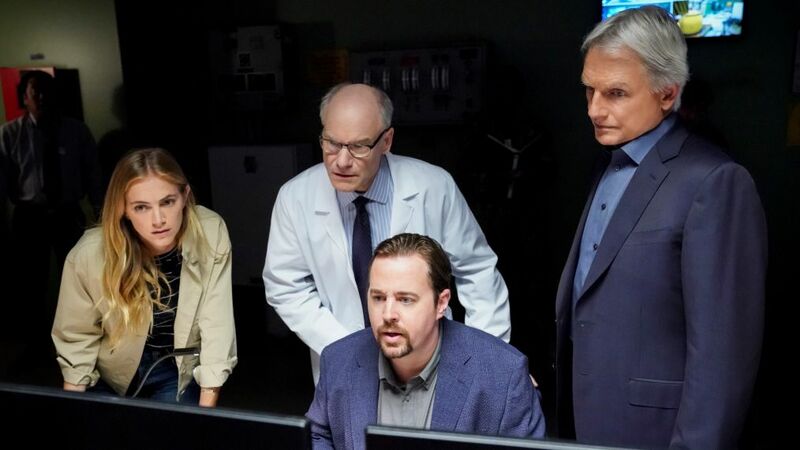 Gibbs also shows up on the fifth-season premiere of NCIS: New Orleans (10/9c), with Pride (Scott Bakula) suffering the effects of three bullets to the chest as his colleagues seek his attempted assassin. Executive producer Frank Cardea teases answers to last season's cliffhanger. The Mayo Clinic: Faith — Hope — Science (9/8c, check local listings at pbs.org): If you’ve had your fill of fictional hospital dramas like NBC’s not-so-new New Amsterdam, maybe a dose of reality will be just what the doctor ordered. PBS complies with a two-hour documentary executive produced and co-directed by Ken Burns. Tom Hanks, Sam Waterston, Blythe Danner and Josh Lucas provide voices for the 150-year history of the fabled medical center, its doctors and patients. Plus, find out how 'The West Wing' factors in. Inside Tuesday TV: In anticipation of Doctor Who’s inauguration next month of the first female Doctor (Jodie Whittaker), BBC America begins a 13 Days of Doctor Who marathon starting at 6 am/5c, featuring every episode from the first 10 seasons of the reboot, with Christopher Eccleston, David Tennant, Matt Smith and Peter Capaldi as the various incarnations of the Time Lord… Fox’s The Gifted (8/7c) begins its second season with a mutant crisis: a very pregnant Polaris (Emma Dumont) is having contractions with explosive side effects… FX imports the peculiar six-episode Australian dark comedy Mr. Inbetween (11:30/10:30c), starring bullet-headed series creator Scott Ryan as a sensitive-under-the-tough-skin enforcer. Its primary asset is its brevity. Watch HBO’s Barry instead.